Secrets to Getting Free Room Upgrades at Hotels Everytime! One of the best ways to assure yourself a free room upgrade during hotel stay is having elite status, but often times it can come down to how you ask for an upgrade that trumps status. You’re best bet for getting a free room upgrade during a hotel stay is having elite status with the hotel program. You can earn hotel elite status by either hitting a minimum number of paid nights or being a cardholder of their co-branded credit card. Even with that, having high-tier elite status does not guarantee you free room upgrades because most of the program terms state that upgrades are based on availability and sometimes at the hotel’s discretion. That said, I’ve found that often the simplest way apart from having status to get a free upgrade is smiling and being polite. Here is a rundown of the best tips to getting free hotel upgrades. Earning elite status can be achieved by hitting a minimum number of paid nights or being a cardholder of the hotel’s co-branded credit card. Here is a list of credit cards that offer the automatic elite status and free room upgrades for cardholders. If at check-in the desk agent mentions your status level, you can politely remind them that you are a Gold, Platinum, etc. level member. Even better, just slide over your elite status membership card with your credit card at check-in. Only once have I had to remind a desk agent that my status actually has a benefit of room upgrades, so know your benefits and point them out if needed. With elite status or suite upgrade certificates you are likely to get upgraded one room level, so if you check before hand to insure there are available premium rooms available you are likely to increase your chances of receiving a better room. Before checking in always go online and see if a particular suite is available. That way, you will be in the know if a better room is available at check-in. If you are told there are no upgrades available, without notifying the desk staff of your intentions simply slip over to the business center and see for yourself by checking online. Don’t hesitate to notify the front desk agent of the availability, simply say they must be mistaken and show the desk agent the room availability. The front desk agents will always check the computer to see if you have stayed previously and which room you were assigned to, along with any special requests. Often they will try to reassign you to the same room or room type, so asking or requesting otherwise may result in a room upgrade instead of the normal room. Hotels do not always advertise the best rooms online, or show them as available. Getting a room upgrade to a premium room can just be a question away, so just ask for them! I have stayed in many premium rooms and suites just by asking at check-in. One night stays may be more likely to receive upgrades since they are are not taking a premium room or suite off the market for several nights. If your stay is just one night and a premium room is not booked by check-in time, it is likely that the room will go unbooked for that night, meaning it is likely to cost the hotel just a little bit more to move you up for one night. Now say, if this is for a week long stay that means pulling the room off the market for the entire week and the hotel possibly losing out on revenue. If you are a returning guest, hotel staff are more likely to upgrade your room. So, based on your stay history with them you may be more likely to receive a room upgrade. Usually at check-in the desk agent will check whether you have stayed with them in the past and if you have requested anything special. More often than not, it is the approach that awards an upgrade vs. elite status. 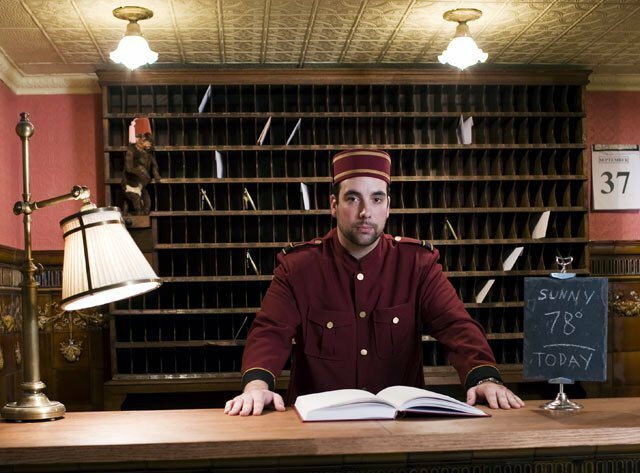 If you are polite and greet the desk agent with a smile it is much more likely that they will be inclined to hand out a room upgrade for your stay. And the opposite is true, if you are cranky and come off as entitled, there is less chance they will be willing to upgrade your room. You never know, minutes before your arrival the desk agent could have dealt with a rude customer or just had a very long day. Simply showing up with a smile and being polite can go a long way and get you the room you want. This can work particularly well if on anniversaries or honeymoons you write an email saying that your significant other is extremely excited about the trip and looking forward to the stay at the hotel. Then nicely ask if there is any chance of getting a room upgrade to surprise your significant other and that it would be greatly appreciated. Positive reviews and feedback is extremely valuable for hotels, after all the hotel wants you to enjoy your stay. If you are willing to share your experience of your stay tell the General Manager, Sales Director, or front desk agent that you will post a guest review of your stay. 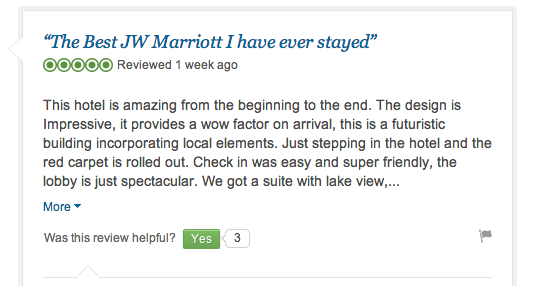 Hotels love to see positive reviews of their hotel! This not only shows that you are serious about the quality of service you receive, but that you are willing to share your experience after your stay to promote the hotel. Let’s just hope it is worth sharing! If you have high level status and no room upgrades are available and the lounge is closed, depending on your audacity you may want to ask for breakfast, dinner, and/or appetizer coupon. Sometimes this may need approval from a manager, but the hotel may be likely to provide additional perks if they could not award a room upgrade.